The BB Life: This used to be me. 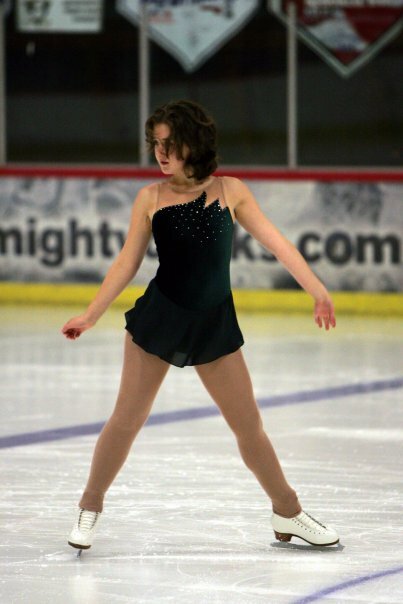 I used to be a competitive figure skater (I wasn't, like, Olympics great, but I was competitive!). And this is where I spent, oh, I would estimate at least half of my time from ages 6 to about 20. ﻿And now it's gone. It closed about 4 years ago. I don't care to remember the exact date or year, honestly, because it really, really sucked when it closed. Like a sucker punch. 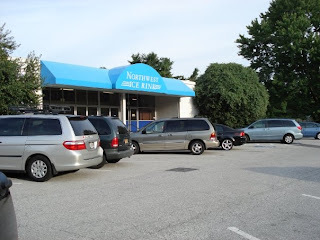 It was out of the blue, and the owners, whom we had seen as family for years, only gave us a few weeks' notice. 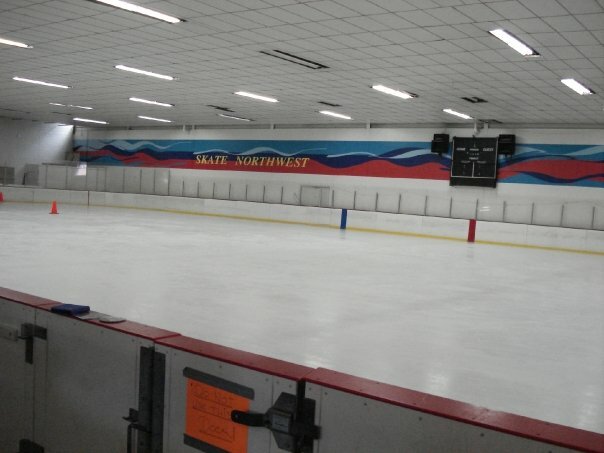 And just like that, the place that I had gone almost daily to train, but more importantly to see my friends and my loving, supportive coach, where I had my first job, where I taught little children how to skate, was closed to me. I went back a few weeks later while they were cleaning the rink out. The electricity was off and the ice was melting. The building fell into foreclosure and was auctioned off recently. They tried to auction the trophies my teams had won over the years, but a few of the coaches talked them into giving them up for free, argueing that they didn't belong to the rink, but to the skaters. Overnight, nothing was the same. The friendships I built there are for the most part still in place, but more difficult to maintain, and not as close, as we no longer have the touchstone of work or practice to force us to stop and spend time together, and our outside interests are so divergent. I still skate every few weeks or so, but having taken a few years off I'm almost embarrassed at my deteriorated abilities. Maybe it was good. A sort of forcible leaving of the nest. It pushed me to define who I was outside of "a figure skater". Still, I dream about it. 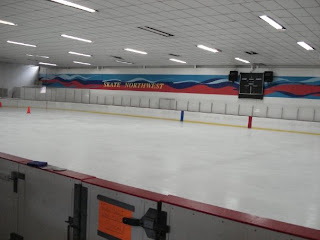 In most of my dreams it has re-opened as an ice rink again, and I'm able to go back to coaching, and bring B around and show him off and help him understand this place that played such a big part in creating who I am. 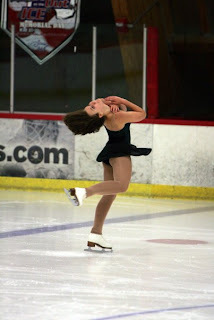 The only thing that makes the dreams stop is to take myself skating again-to stand in the middle of the rink, feel the cold, listen to the quiet, and feel at peace. Then I go home to the things and people that define my life now, and I am happy.